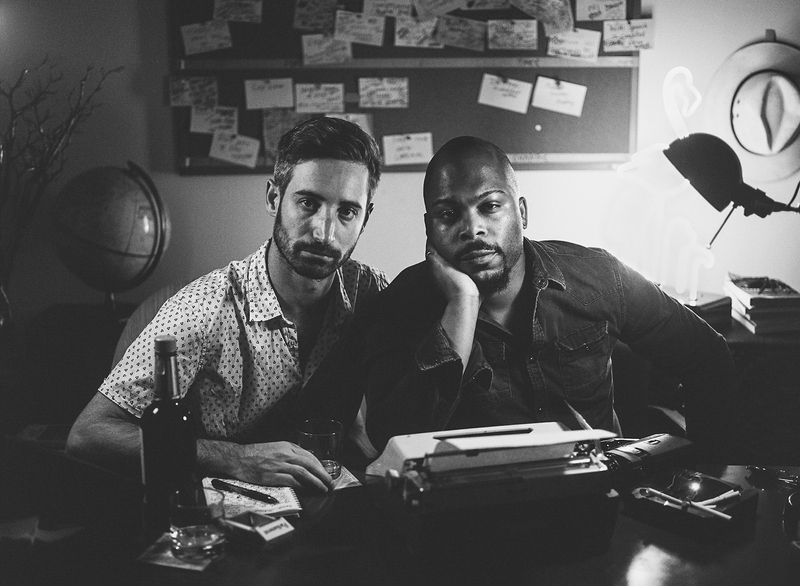 Film Pipeline winners Spencer Mandel and Dikega Hadnot wrapped production on their winning short script Little Brother in 2019. The filmmaking team was praised by judges for their ability to craft a remarkably vivid and socially relevant story. Little Brother comes after a decades-long friendship between the two and will likely lead to future collaboration. You two have a bit of history together. What brought you together to become co-writers and eventually co-filmmakers on Little Brother? Spencer: Dikega and I met in the 1st grade, and have shared many formative adventures in the 25 years we’ve been friends, including a high school road trip to South Dakota and an archaeological dig in Northern England. We’ve collaborated on projects on and off since day one, but it was only when we reunited to write a pilot together in 2016, a historical drama inspired by our dig at the Roman fort, that we realized that the psychic connection of our ancient friendship could be turned into an irreplaceable creative partnership. Since I’m primarily a writer and Dikega is a director/producer, we realized that we needed a full-fledged film to display the full range of our partnership’s potential. The actual idea for Little Brother came out of a one-night creative retreat in Topanga canyon last June, aided by good wine, good music, and the channeling of some extra-dimensional demons. The premise for Little Brother touches upon a few different points of discussion, but the more we analyzed it, the deeper and more nuanced those layers become. What are some of your central things you’re trying to say? Were all the commentaries ingrained in the script meticulously planned beforehand? Or. . . perhaps we’re reading into it too much? Dikega: I think that’s the beauty of art, right? That even if we meticulously planned every theme that you grasped in the script, we probably wouldn’t tell you because we wouldn’t want to take away from your personal experience. It’s a sort of evolutionary process. If we had to pick a few themes that we took into the writing: in the world and sociocultural moment we’re all facing now, dominated by autocratic strongmen at home and abroad, and the pressures inside the American city, we’re having trouble as a species with hearing each other and acknowledging our shared humanity. There’s also an intuitive, archetypal level of the human experience that goes deeper than the level of our tribes and cultures—revealed through ancient mythology, psychology, and psychedelics—that we feel could be a rejuvenating force in our current moment. Perennial outsiders often hold the key to true change and progress. Truth be told, this is a short script we thought needed to be seen to be fully understood. Which honestly made for a dicey judging process. Was there ever a risk, or a concern, that what you so vividly brought to the page might not translate to screen the way you intended? What were the most critical components, logistically or creatively, that needed to fall into place? Dikega: At this level of filmmaking, truthfully, almost everything was a challenge. As you guys have observed, it’s such a carefully-structured and visual screenplay that apart from writing it, where the only hindrance is a lack of coffee, the logistical obstacles and potential creative problems were countless. Thankfully, along with producer Ashley Hillis and EP/actor Jon Lafferty, we built a strong team for the shoot, which allowed everyone to build upon our story with ingenuity and inspiration, and pull it off within the time and money constraints. The most essential elements to put in place were probably the actors and authentic location, and we were really happy with who we were able to find, and where we were able to shoot it. Production wrapped in January 2019, shooting exclusively in a single location in Los Angeles. Kind of a tangential question, but we think it’s one worth noting: does the city itself play a role in how the story is interpreted? For writer/directors who set out to make a short, of any genre or concept, finding a location can be difficult, given budget or other constraints. When the story, though, revolves around one or two locations only, is it something that should play a bigger factor, and thus given greater attention? Spencer: Since both of us are Los Angeles natives, we’re often disappointed by the way our city is portrayed in popular media and consciousness. LA is a complex, diverse, and fertile anarchy, and we wouldn’t want it any other way. As I’m sure you’ve noticed, the city is undergoing a rapid transformation that seems to have accelerated in the past decade, and historic black and Latino neighborhoods have been disappearing faster than anything else. We wanted to place our story at the front lines of this loss of culture and community. Both of you have insanely diverse backgrounds, inside and outside the film industry. How much of that knowledge did you bring specifically to Little Brother, and how have your experiences shaped the way you approach both filmmaking and storytelling? Dikega: Our partnership’s official name is “Gonzo Griot,” which captures the full spectrum of our different backgrounds and experiences. The “Gonzo” involves the exploratory, literary, and sometimes absurdist Americana we bring to the table, and the “Griot” is the age-old mythological, historical, and ritualistic purview we like to combine it with. Both words are names for storytellers. What would you say is missing from the film landscape right now? Long-term, once you get into producing features, is there a style, genre, or subject matter you’d look to address next? A niche to fill? Spencer: Gritty, narrative-flipping historical dramas, told Game of Thrones style. We’re both history nerds. Dikega: The freedom to create with mid-level budgets. If woke American revenge thrillers can be combined with foreign cinema and magical realism, we’d like to be a part of that next chapter. Born in South LA to a Liberian mother and an African-American father, Dikega’s teacher mother arranged a scholarship for her precocious son to attend Oakwood School, a school whose curriculum balances academics with the arts. Meeting Spencer in the 1st grade, the two were regular collaborators on both drama and film/video projects in their 12 years at Oakwood, a friendship that took them on a two-week road trip to South Dakota (into towns that had never seen a black kid) and an archaeological dig at a Roman fort in Northern England. In 2005, Dikega was accepted to Johns Hopkins University, turning down a full ride to USC to take part in Hopkins’ emerging film theory and production program. After graduating in 2009, he gained valuable field experience as an assistant to Terrence Malick and “Chivo” Lubezki on both Malick’s Tree of Life and To The Wonder. Taking a liking to the young graduate, Malick allowed Dikega to direct a scene of To The Wonder on his own, on location with Olga Kurylenko in Oklahoma. Following Malick’s advice to pursue his own path as a filmmaker, Dikega returned to LA to produce music videos for Interscope Records, with such clients as Iggy Azalea and Azalea Banks. (In his spare time he’s a musician himself; his former hip-hop project Maya Angeles got supportive airplay on KCRW). He now runs his own production company, Latebloom Entertainment, which has created content for brands such as Toyota and Puma. In 2016, he reunited with Spencer to form their writing/directing partnership, Gonzo Griot, which is repped by Flashpoint Entertainment, Original Artists, and Ziffren Brittenham LLP. The director of the duo, Dikega helmed the shooting of Little Brother in January 2019. A lone creative from a family of doctors (mom, dad, grandpa, uncle and sister), Spencer could read by age two and completed a book of poetry in the second grade. Sharing a love of world culture with his childhood friend Dikega, he spent high school summers volunteering in Tanzania, India, and Northern England. Having received a bass guitar as a Bar Mitzvah gift, his passion for the instrument compelled him to form a rock band in Providence, Rhode Island after starting college at Brown University in 2005. At Brown, Spencer majored in International Relations with Spanish as his foreign language. He studied abroad in 2007 as part of the Consortium for Advanced Studies in Barcelona, where he spent his nights drinking absinthe in Hemingway’s former haunt and at rambunctious village festivals in the Catalan countryside. 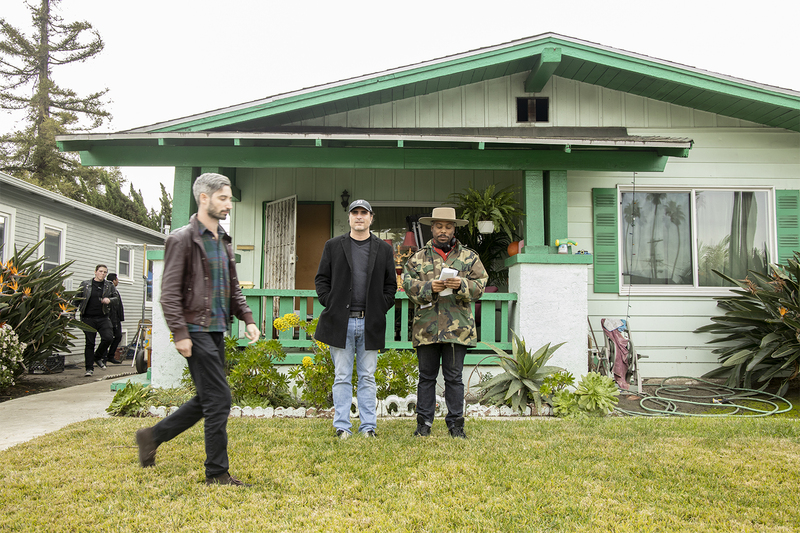 After graduation, Spencer’s college band evolved into Incan Abraham, an LA-based indie rock act that completed two national tours and a full-length album, with acclaim from Pitchfork, Spin, and Consequence of Sound. Alongside his music projects, Spencer honed his writing craft as a geopolitical and music journalist (WhoWhatWhy, Guernica, Rogue), before meeting his lit agent at a funeral in 2013. He has written four feature scripts and three TV drama pilots, and produced multiple short films and music videos.